Many families look forward to summer—a season filled with cookouts, trips to the beach, and relaxation. For a lot of kids it means three blissful months without school, with their carefree days spent playing with friends. But for almost 300,000 children in our 34 county service area, no school means no meals. Summertime means playing on an empty stomach and worrying about whether they’ll be able to eat. For parents, it means added strain on household budgets, making it even harder to pay the bills. So what can you do to help these kids and their families? Consider an alternative summer activity: Skip the trip to the pool and come volunteer at the Food Bank! Our friends from NetApp did exactly that during their special Family Day at our Raleigh Branch. 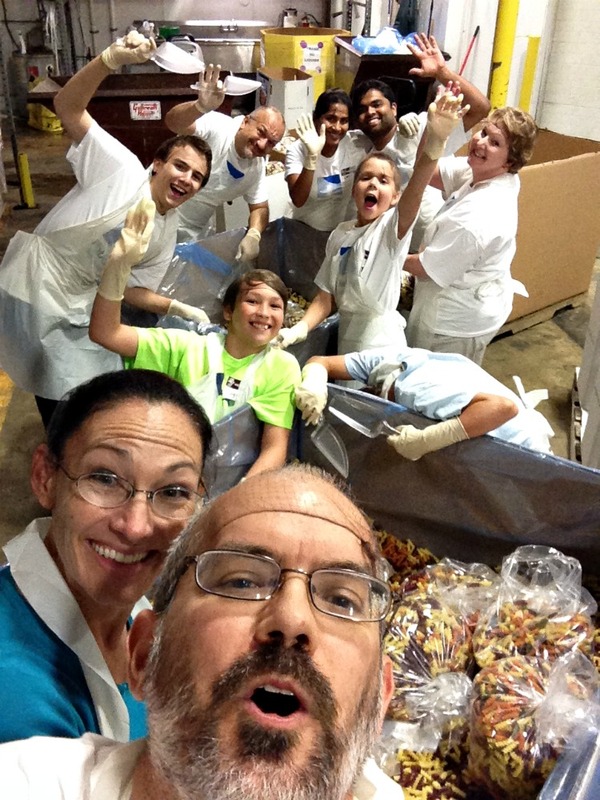 NetApp employees routinely volunteer at the Food Bank, but for the first time they brought their families along to share the experience. They sorted 3,500 pounds of potatoes and bagged 5,000 pounds of pasta, altogether providing 7,200 meals to families in need. NetApp takes a Family Day #helpie. 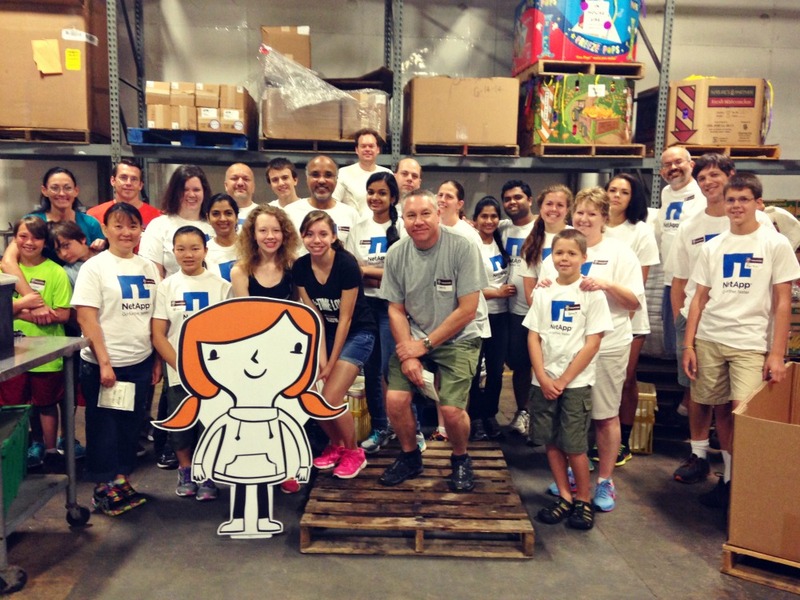 NetApp is one of our top 10 volunteer supporters, contributing over 1,000 hours last fiscal year. This year they have volunteered another thousand hours and continue to be a strong service partner with their monthly, all-day volunteer sessions at our Raleigh and Durham Branches. But it’s not all sorting potatoes! As the presenting partner of Stop Summer Hunger, NetApp has pledged $100,000 over 5 years to help families during this season of increased need. Many thanks to NetApp for your support of our Stop Summer Hunger campaign and your dedication to service throughout the year. We are so grateful for your partnership! If you’d like to learn more about volunteering at the Food Bank (or sign up to volunteer! ), please visit our website. If you’d like to bring kids to volunteer (between the ages of 5 and 12 ), check out our Kids Days. Please note: the schedule and activities vary from branch to branch! The NetApp crew on Family Day. Thank y’all so much for your service!